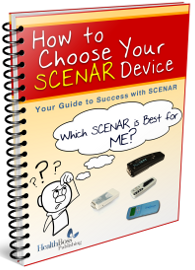 SCENAR Can Be a Miraculous Healer… IF You Get It Right. Not all SCENARs are built equal. Not any SCENAR will do what you hope it will do. It’s like horses: some are born to win a race, some to carry heavy loads, and some to jump the obstacles. In order to facilitate healing miracles and use SCENAR to its full potential, you need to UNDERSTAND it – and you need to find your SCENAR match. Just enter your name and email address into the form on the right for INSTANT ACCESS to the Special Report. Enter your name and email address below for FREE INSTANT ACCESS to the Report.